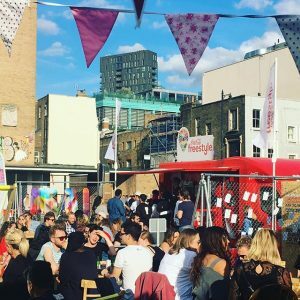 Every few weeks Urban Food Fest is transformed into a unique themed market that showcases brands from every sector – from food and drink to hand sanitiser to travel brands and everything in between! Food lovers from all over the world will be able to experience product launches, takeovers, experiential events, samplings and fun brand pop-ups every month at our Shoreditch High Street market. Guests were able to download an app which allowed them to choose which percentage of each drink they would like to mix and experiment with flavours to their heart’s content! We also had the graffiti artist keytones6000 spray painting skateboards that could be won in an Instagram competition. 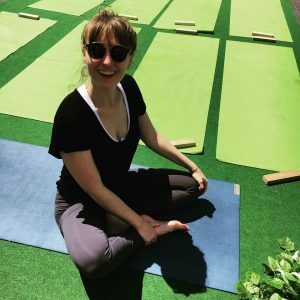 Free yoga sessions, free hugs, free drinks, green themed food and all round good vibes! Do you want to share the success of previous brands like these as well as Tsingtao, Asahi and Deliveroo who took part in our brand activation and brand takeovers at the Shoreditch market? Don’t miss out 2018 dates are filling up fast! Keep an eye on our social media channels to find out what fun themed markets are coming up next!